Looking for a way for your little one to grow musically? Research has shown that an early beginning to structured music training stimulates brain development and enhances later learning. 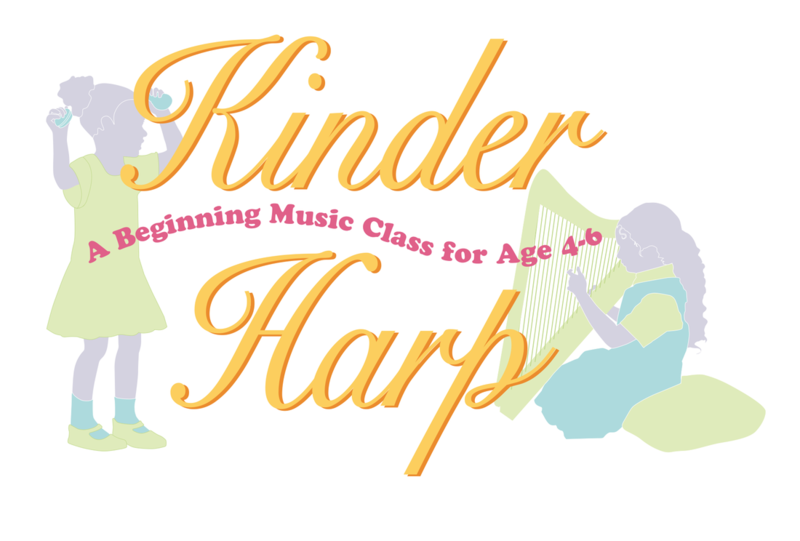 KINDERHARP, created for 4-6 year olds, will provide your child a chance to explore and learn the basic concepts of music and have fun learning to play the harp. The musical skills developed during KinderHarp are great preparation for any instrument! KinderHarp classes are a mix of singing, movement, playing the harp, story time, and other activities. Skills explored include the recognition of pitch, tempo and dynamics, steady beat and rhythm patterns, and the development of fine motor movement and focusing abilities. As parents are their children's first and best teachers, KinderHarp is designed for a parent to attend and be involved in some of the activities. Fun-to-do materials and the practice harp extend the learning into the home environment between classes. Tuition is $200 for the 8 sessions and includes all materials and rental of a small harp. Classes are 45 minutes long, limited in size, and are held in my midtown Tulsa home studio on Thursdays at 6:00 pm, or Saturdays at 10:00am. Fall 2018 sessions are enrolling now, contact me to hold a place for your child.